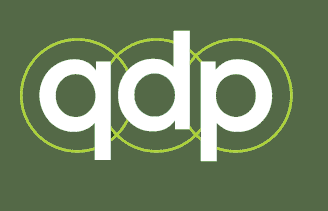 QDP will help you gain an invaluable insight into what motivates your students, staff and employers by using research based surveys which will help you improve your provision by promoting effective teaching in a supportive environment where survey feedback underpins and enriches your management information. "Dudley College have used QDP for several years to provide learner perceptions for a variety of learners including full-time, part-time, evening only, schools, HE and our Dudley Sixth Centre. We have set up a wide variety of surveys using Survey Manager which is easy to use and allows us to benchmark ourselves against other FE colleges and sixth forms and measure our distance travelled. We have also used Survey Manager for our staff survey and various other in-house surveys including our staff development conferences. We use a variety of questions some of which are used direct from the QDP library, some we adapt to meet our needs which mean we can still normally benchmark against others when we want a direct response to a particular question. QDP’s Customer Services team are always on hand to advise and assist whenever we ask and produce our extra reports when needed for our various review meetings in a very timely manner. The analysis is thorough and the results provided are used for review meetings and to assist us with our continuous quality improvement within the college. The summary reports are well received by our managers and academic staff and have allowed us to concentrate our effort on the weaknesses identified within particular areas. We would recommend QDP to other college providers.! " The design of QDP’s products and services are always led by the fundamental reason for conducting feedback exercises in the first place. This is to ensure that all your learners, be they full time study programmes, apprenticeships, part time adult education, higher education, distance learners, supported learners or any other learners you may have, get the best possible learning experience that you can deliver. QDP’s surveys ensure that regardless of gender, ethnicity, religion, sexual orientation, age or disability you provide an effective means by which you can listen to their voices and be able to intervene and support individuals or groups of learners with challenges that they face from time to time. By providing and supporting you and your College with the production of timely, relevant and easy to digest reports QDP believe you will have the best possible opportunity to provide a safe and inspiring platform of learning in which each and every one of your learners can thrive and achieve in preparation for the next stage of their journey. The same fundamental principles lie at the core of QDP’s feedback projects for your staff, employers and any other stakeholder group whose voice you need to listen to from time to time. Choosing to work with QDP for your feedback projects is a smart move. We will remove much of the headache and strain on your resource giving you back the vital time to take actions regarding any easy to identify concerns that the feedback may show as well as celebrating success for promoting and boosting your college’s reputation! There are so many ways that QDP will add value to your feedback. Talk to our superb Customer Services team about your own requirements and you too will see that by Joining QDP Services you will greatly increase the value of your feedback programmes. QDP are the sectors preferred and most trusted supplier of feedback within the UK. Over 40% of colleges in England, Scotland, Wales and 100% of colleges in N. Ireland, continue to benefit by using QDP Services’ products each year. New reports and surveys are being developed all of the time through work in partnership with all our customers and advisors, to ensure our products remain in step with the continual demands facing the sector and to ensure your learners and other stakeholders get the best possible experience that you can deliver. •	Or let QDP do the work for you with our Gold Service support with extremely fast turnaround, 6 working days, ensuring your data is fresh and relevant. Either way you will have the most comprehensive reports to inform your improvement planning and monitoring. Our industry standard reports are presented in an easy and digestible format that highlight causes for concern as well as success ensuring that all members of your team can own them and use them to make a real difference. Experience the perspectives of QDP’s benchmarking data sets, the strongest that the sector has ever had, with over half a million learner and more than 20,000 staff voices added per annum. We at QDP are always striving to offer you more and more value. QDP’s products and services are more affordable than ever before and continue to offer the best value available in the UK! Call QDP and add your colleges voice to the growing number of colleges throughout the UK who recognise QDP as best value in the sector.